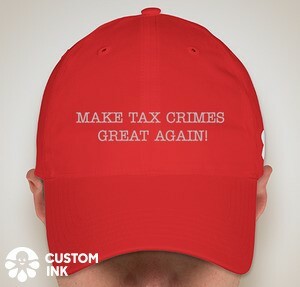 This blog is intended primarily students of federal tax crimes. That may include persons who are already tax professionals. My intent is to contribute to their store of knowledge and understanding of the system relating to tax crimes. Lay readers are welcome to read the blog entries and comments and make their own comments. But lay readers should be very careful about relying upon what they believe the blogs and comments may be saying about the law and strategies for dealing with the law. For the most effective use of this blog and the comments, readers must have the background and skills to test the information by further research and analysis before reaching any conclusion as to its usefulness in actual situations. DISCLAIMER: The author thus disclaims any reader's right to rely upon the blogs and comments. Readers using this blog and the comments with this limitation should find it useful as one tool (but not the only tool) they should use in reaching an independent informed conclusion regarding the matters discussed. With this limitation, I welcome lay readers to this blog and even encourage their comments, particularly in the offshore account area. I don't know all of the dynamics that attract such lay readers to this blog, but I hope I am a catalyst for getting good information to those readers because I do feel the pain of many of those readers through their comments. Therefore, please keep reading and commenting. I have learned a lot from you. But I do again repeat that the information must be kept in perspective and considered cautiously because it is not legal advice tailored to the readers' unique facts and circumstance. BLOG ENTRY ON SCOPE AND LIMITATIONS OF THIS BLOG: I encourage users of this blog to read a blog entry, Scope and Limitations of this Blog: It Is a Tax Crimes Blog, not a Tax Crimes Policy Blog (Federal Tax Crimes Blog 3/26/14), here.